Leave a message for Sean using the form fields below. If you have any questions, please contact us at (212) 269-7800. For general inquiries, email compliance@ingalls.net. 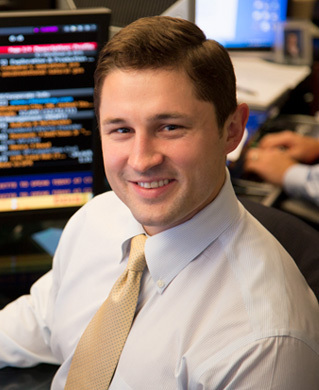 Sean P. Meehan is a Managing Director in the Fixed Income group. He researches and trades high yield, distressed and convertible securities. Sean joined Ingalls & Snyder in 2005, after earning his B.A. from Colgate University. He became a Director of the firm in 2008, a Senior Director in 2010, and a Managing Director in 2014. Sean resides in New York City.